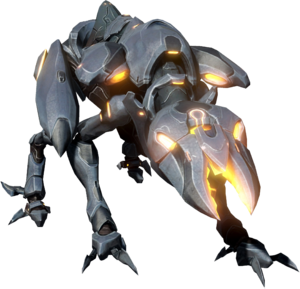 Without question, the standard Crawler are the most prominent forces of the Promethean army. These aggressive hunters operate in groups or packs that quickly engulf their adversaries in overwhelming numbers. To make matters worse, Crawlers can target enemies both near and far with their embedded boltshot armament, and are even capable of vertically scaling structures to gain tactical advantage. Forerunner Warrior-Servants designed the Promethean Watchers to act primarily as defensive drones, taking on a tactical support role. 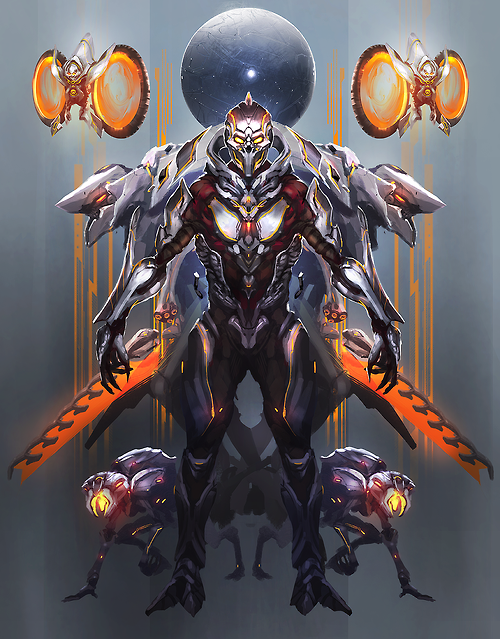 Controlled by a low-level ancilla, Watchers are initially held within the armored shell of a Promethean Knight. During combat, they emerge and aid Knights, utilizing hard light energy shielding to protect its allies, as well as actively reconstituting fallen allies. While their primary operation is defensive, they have been known to function offensively, raining down fire on enemies with their mounted boltshot. Last edited by Malancthon on Tue Mar 21, 2017 2:03 am, edited 1 time in total. 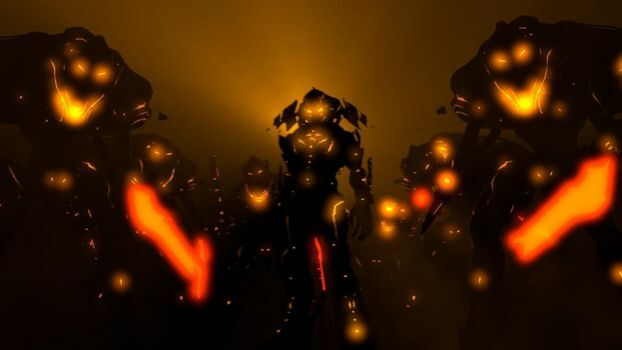 Designed and literally molded into existence by the Didact, Promethean Knights represent his ultimate forces. These ancient and mighty warriors are not autonomous drones like Sentinels or even Crawlers, but are driven by the roiling vestiges of human essences composed during the last days of Forerunner history. They were tasked with guarding high-value Forerunner strongholds until the Didact was released. A Forerunner Promethean who was supreme commander of the entire Forerunner military. He wholeheartedly believed in the Mantle the Forerunners held to protect life, and initially opposed the Halo Array as a sin beyond measure. He was also the lover and husband of the Librarian. After falling into madness during his second exile, he attempts to harvest humanity to fight the Flood, resulting in him being imprisoned in a cryptum in his own command-world by his wife, only to be accidentally woken 100,000 years later, where he plans to finish his harvest. Feel free to up his various Abilities. As a Boss type character, there is no need to stay within the Base Zero rule, I just did for the sake of the build. Minions and Attack are the obvious thing to upgrade. The Promethean forces are designed to work under the Minions rules. Crawlers count as the standard Minions and Knights as the more powerful Minions. Watchers are produced in conjunction with Knights. I can see that Mal had alot of fun with his builds. Now it's my turn. For the Dead Space portion of this installment, direct your attention to the Brute. One of the more commonly encountered Necromorph during a typical outbreak; they are named so due to their more brutish forms of slaying potential new hosts. 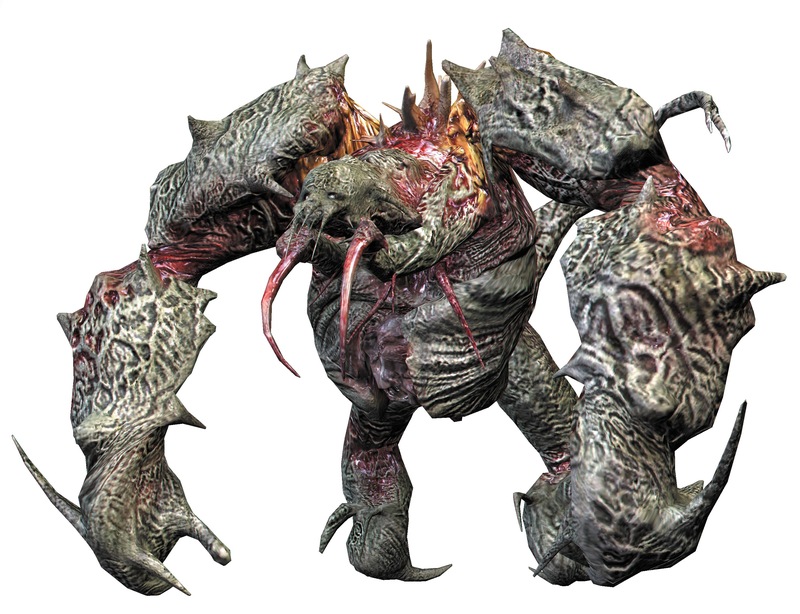 They are also most noteworthy for their more massive size than their fellow Necromorph types and one of the few that require multiple corpses in order to be formed by either Infector or Swarm, in this case three. Their spiky, armored exoskeleton comprised of bone and calcified skin, are heavily resilient to damage and almost impossible to penetrate and are far more fast and agile then their size would suggest otherwise. However, like other Necromorphs the Brute are easily killed via limb dismemberment and this is more obvious due to the yellow flesh upon both shoulder and hip joints that make them especially vulnerable. Additionally, their impressive armor only protects from the front while the rear is more exposed even when they cover their armored forearms to protect themselves. 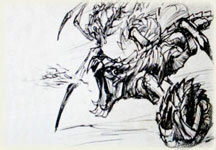 The Brutes also comes in an enhanced form that are more resilient to damage due to being formed from more necrotic biomass i.e. decayed corpses. Well, it HAD been a traditional mini-boss in the Dead Space series and I could use a little more hands-on experience in building NPC boss encounters. Next up, for the Resistance portion, we have the Rollers. Effectively a Leaper at the final stages of its life when its own body begins to break down and produce corrosive chemicals as it faces its twilight moments; the Roller is named so due to its trundling locomotion which also allows it to move faster than its younger self. The Roller is able to take its aged body to another advantage in that it can spit this corrosive bile at its prey, blinding it long enough for it to move in and attack them with its claws and fangs. Additionally, the Rollers serve as additional vectors of the Chimeran Virus to convert human beings who survive a Roller attack into a Grimm themselves. Last edited by Sabersonic on Mon Mar 27, 2017 1:33 am, edited 1 time in total. And now, we have the more anticipated portion of the Terminator franchise: the 800 Series Terminator. Effectively a more advanced model series to the 700-Series Humanoid Hunter-Killer Units, the 800 Series Terminator was the ultimate infiltration unit in that it was exceptionally hardened from kinetic-based small fire and its grown camouflage skin allows all the visible, textile, and olfactory cues that would make them mistaken by unwary humans. However, due to the superior senses of canines, the 800 Series Terminator is unable to disguise its secret as a Terminator due to the human Resistance’s use of Dogs for anti-infiltration use. Now I'm wondering how Mal's interpretation of the Colonial Marines and Imperial Stormtroopers (Wonder why no First Order.....?) 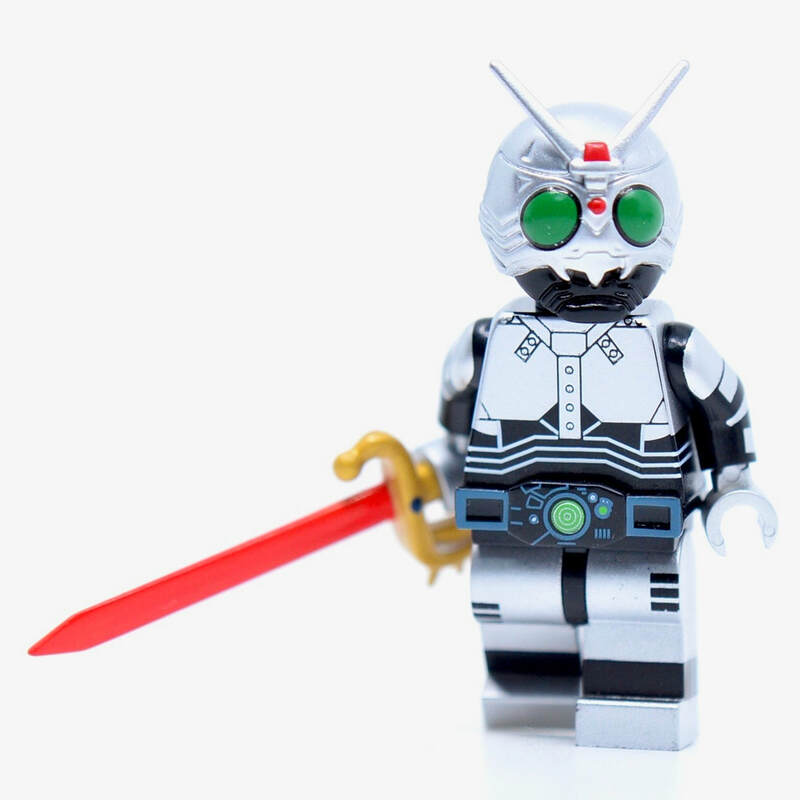 would fare against my own builds of the Chimeran Army, Skynet Hunter-Killers, and the hordes of both Hell and Necromorphs. I kinda expect a lot of renditions of Bill Paxton's famous line running up and down the line. Considering I went with Secondary stats for the marines and Extra stats for the troopers while you kept your hordes with Heroic stats, probably very poorly. But they are mostly meant to be fodder before heroes anyway. Regarding no First Order, I figure the basic trooper stats can be applied to TOR Sith Troopers, Imperial Stormtrooper, FO Troopers with no real changes, and with some minor changes can also be Senate Guard troopers, Old Republic troopers, or Clone troopers. I didn't find an image I liked that showed the breadth of trooper designs, but figured people can decide upon that on their own. Considering I went with Secondary stats for the marines and Extra stats for the troopers while you kept your hordes with Heroic stats, probably very poorly. But they are mostly meant to be fodder before heroes anyway..
Well considering the usual deployment of "mundane" soldiers against such inhuman hordes with the player character being the protagonist, it's pretty much par the course. Well I kinda figured that FO Stormtroopers being kidnapped as babies and basically indoctrinated as Stormtroopers and the First Orders ideologies, I figured that it would at least earn some psychological Weaknesses on that front. Well, I thought of it after a while and I figured that, for the non-humanoid, non-gigantic Chimera, I should just demote the Crawler, Leaper, and Roller to Secondary Stats. Meaning that their overall Ability total and TV have been altered largely due to either lower or lack of the Frail and Languid weaknesses. Speaking of which, let's start this off with Dead Space representative of said franchise: the Tripod. One of the more unique Necromorphs encountered in a typical outbreak, it is called as such due to its three-limbed locomotion though its general anatomical layout is quite similar to the Leaper-type Necromorph. 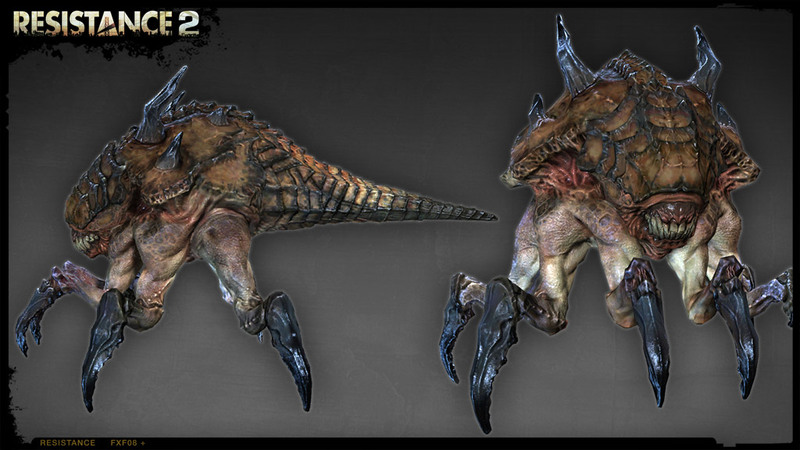 They are also most noteworthy for their more massive size than their fellow Necromorph types and one of the few that require multiple corpses in order to be formed by either Infector or Swarm, in this case three. Its primary means of attack are through its bladed tongue and reinforced forelimbs to kill its prey and ready them for infection. These forms of attack, however, also showcase the Necromorph’s weaknesses in the form of yellow pustules in the shoulders and scythed tongue. Their speed and maneuverability, however, make that a difficult prospect at best. And for the Resistance portion of this installment, the Spinner. A relatively recent alternative strain to Crawlers and Conversion Centers, the Spinner are one of two primary means of reproduction by the Chimeran Army and one of three to the Chimeran threat as a whole. Like Crawlers, the Spinner Chimera are deployed via Spire Missiles deep within enemy formations and concentrations onto which the Spinner are unleashed on any human being they encounter whether they be military or civilian. 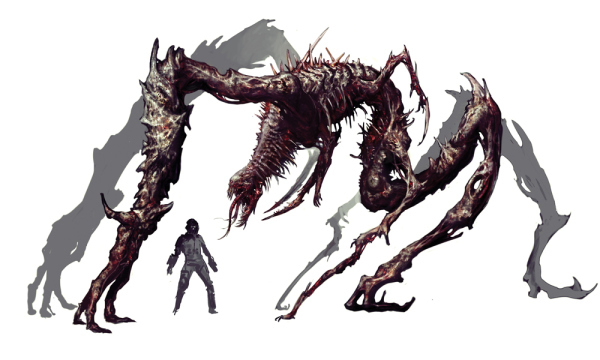 A notable improvement upon the Crawler is that the Spinner do not expire once they infect a victim, but rather seek out other human beings to create more infected and more Chimeran Strains for the Chimeran Army. Once incapacitated, the Spinner constructs a cocoon around them, hence the name of their strain, which will transform the unfortunate victim into Grimm. Alternatively, the cocoons can be retrieved by the Chimeran Army to be converted into specific strains that are needed either at a separate conversion center or upon one of the massive airships of the Chimeran Fleet. And finally, for the Terminator franchise, we have the HK-Recon. Also known as the Mini-Hunter. A micro tubine-borne aerial unit developed by Skynet armed with an underslung plasma castor gun, these Non-Humanoid Hunter-Killer units were also known as Mini Hunters by human Resistance forces. The HK-Recon unit was initially utilized by Skynet to infiltrate the ruins and underground that human survivors were able to call refuge due to the sheer size of the Hunter-Killer forces, which is made even more deadly with its use of frictionless bearings for its micro turbine to mask its approach. However, due to its size and chassis architecture, the HK-Recon was highly vulnerable to conventional small arms. As such, they are more often utilized alternatively as combat telemetry during combat operations. Last edited by Sabersonic on Thu May 04, 2017 4:17 am, edited 1 time in total. Yep, it's that time again to face the inhuman hordes. First up, concluding the Dead Space franchise, is the Tormentor. One of the more unique Necromorphs encountered in a typical outbreak, the Tormentor is a massive Necromorph that is extremely difficult to kill due to its massive bulk. 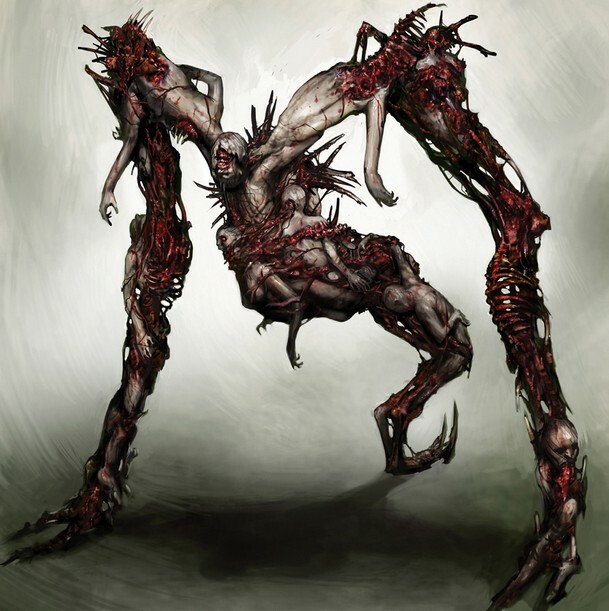 Its primary means of creating more hosts for the Necromorph infection are through its arms; two reinforced arms that smash and six that grapple and stab. However, it has a massive fanged maw that is quite capable of biting even armored personnel in half that underestimate the creature. It has a notable weak spot in the form of explosive pustules upon its shoulder though it is not enough to completely dismember the awe inspiring threat. Not sure if I should try Hiveminds or not... Verdict? For the Resistance portion of this installment, we have the Howler. One of the few quadruped Chimera strains, the Howler serve the Chimeran Army as a canine would serve a human army: That is, as a watch dog, guard dog, and to search out soldiers and civilians that may try to hide from a raiding party or an assault team. 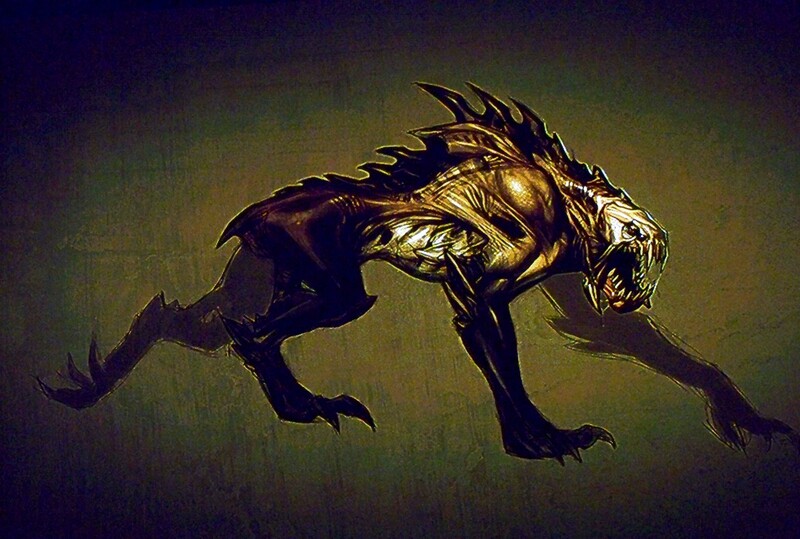 Though the basis of the Howler conversion is unknown, it has been theorized that they were originally Chimeran Virus-infected canines and similar such animals. As animal-like Chimera, the Howlers have no Heat Sink implanted upon their backs, supposedly due to the fact that they would be an easier target due to the posture of the Howler. Thus, the Howler has a short life expectancy outside of combat due to the hyper metabolism found upon all Chimera strains. Last edited by Sabersonic on Thu May 11, 2017 1:33 am, edited 1 time in total. And for the Terminator segment of this installment, the HK-Silverfish. A ground attack vehicle developed by Skynet, it greatly resembles its namesake due it its love observatory design that allows it to hug the terrain unseen towards human Resistance command posts and similar emplacements. Once it encounters an enemy target, it plows through into the target and explode not unlike a bunker busting ground torpedo. Not too sure if I should do the Hydrobot from Salvation myself. Verdict on that one?